It’s a big, crazy, kooky world. There are people out there who take their comic books and TV shows very seriously, and then there are people who take them really, really, REALLY seriously. 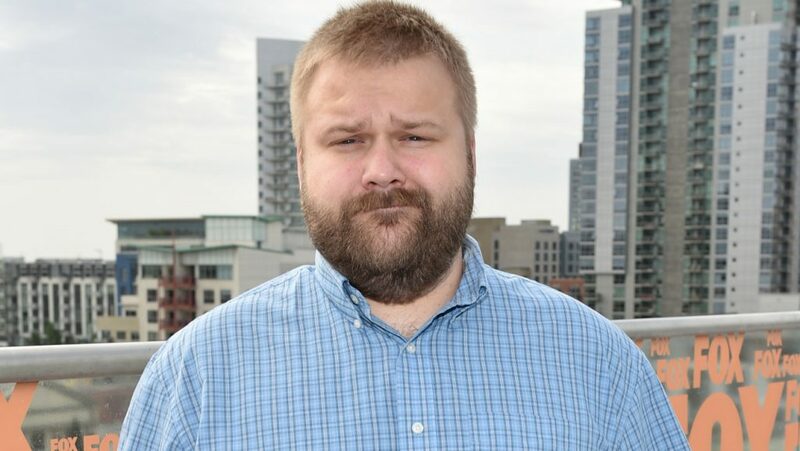 Robert Kirkman revealed to the Swedish entertainment website Aftonbladet that ever since The Walking Dead started running on TV — not since the Negan cliffhanger, but since it started running — he’s been getting death threats from random strangers on a regular basis. Like other entertainers and most politicians, it’s just something he’s had to learn to live with. Kirkman says when a man threatens your life over the events in a land of make-believe, you can even learn from it. I take it with equanimity. People have told disgusting things about me so long now that I have become accustomed. I have also learned to deal with it. I use it as a tool. You get a sense of what the audience likes and dislikes, and what path they want the action to take. However, Kirkman added he only uses fan reaction as a guide and not an absolute rule, and that if he feels a death will make him unpopular yet it HAS to happen, he’ll write it in. He’ll take your feelings into consideration, but the final call is his own. Maybe if you learn to talk to him a bit more nicely…..